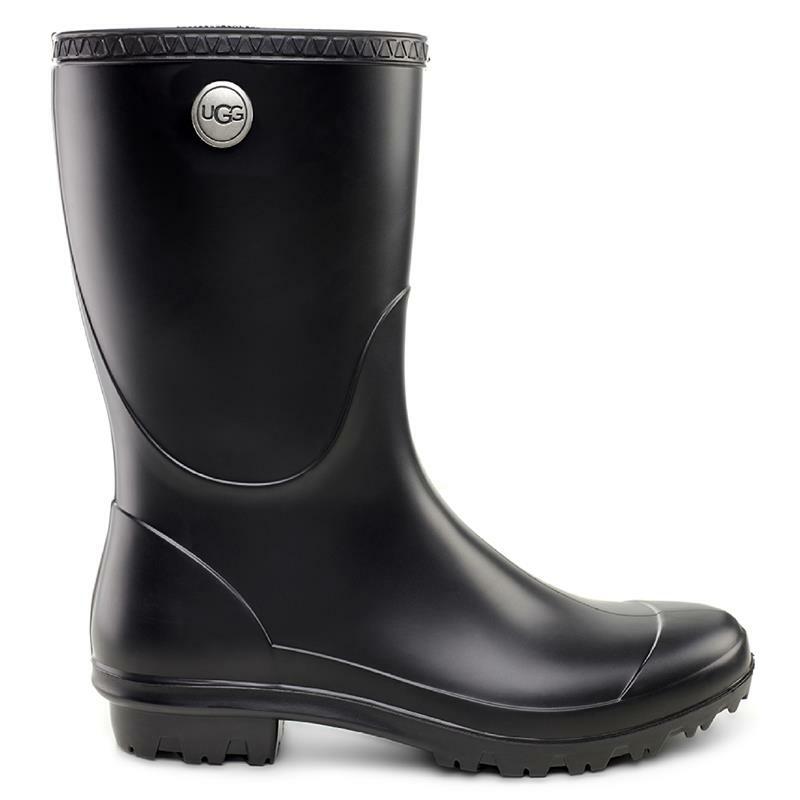 A classic rain boot with a matte finish, the UGG® Sienna features waterproof construction and a sheepskin-lined insole to keep feet warm and dry. Add rainy-day functionality to any outfit, worn alone or paired with our rain boot socks, which are crafted to cuff over the top for customizable styling. | By UGG® | RN #88276 | Imported | This product contains real fur from sheep or lamb. Fur may be sourced from Australia, Ireland, the United Kingdom, or the United States. It has been artificially dyed and treated. Made in the United States.